I’m sharing something a little different from me today. You see, I’ve been writing poetry around living with IBS and happily sharing them on Instagram but for some reason, not here. Until today. 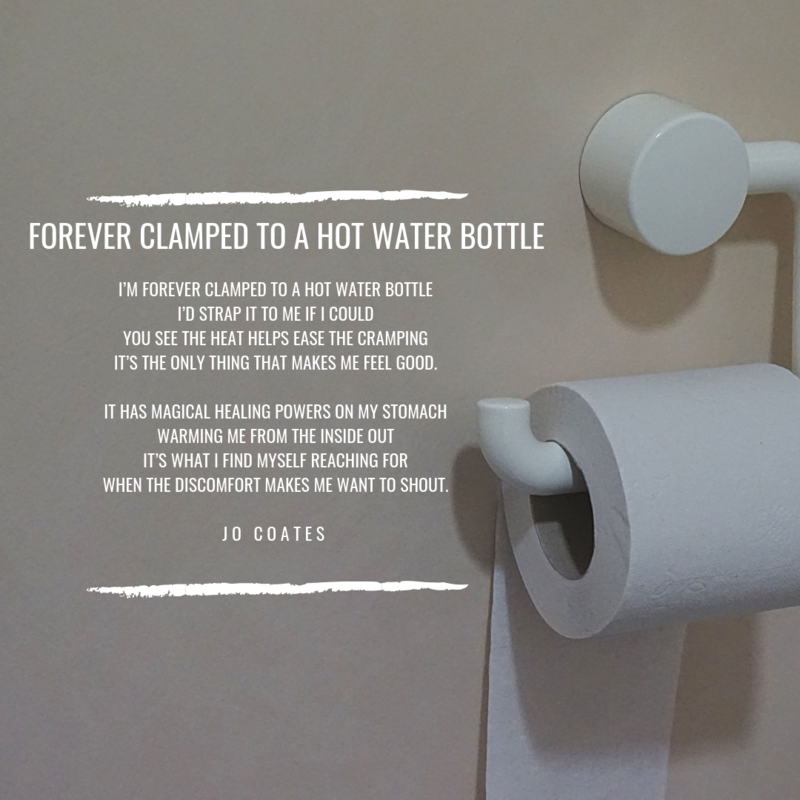 Because let’s be honest, if you’ve got IBS and struggle with the dreaded stomach cramps, you will know how important it is to have a hot water bottle within reach. I think you’d like to know that my hot water bottle is furry and covered in animal print. So extra. So here it is in all its honest glory, Forever Clamped to a Hot Water Bottle. If you’re struggling now, I hear you. My gut gurgles in sympathy.